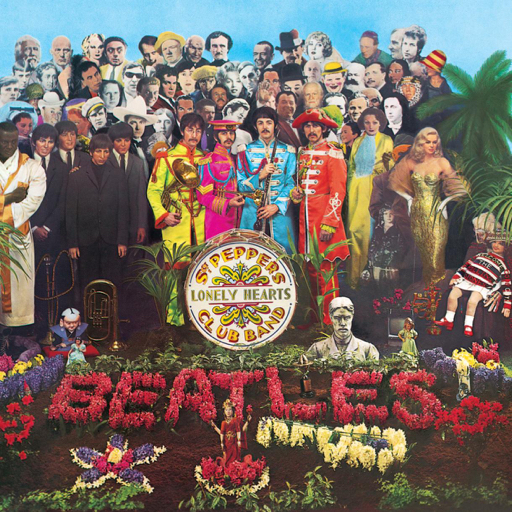 New release: Sgt Pepper's Lonely Hearts Club Band. If the decade of the 1960s found its identity in cultural change and innovation, one of its defining moments came in the form of a record album by The Beatles in early June, 1967. Turning away from tours and public appearances, the group concentrated on writing, recording, and on discovering new maturity as artists. 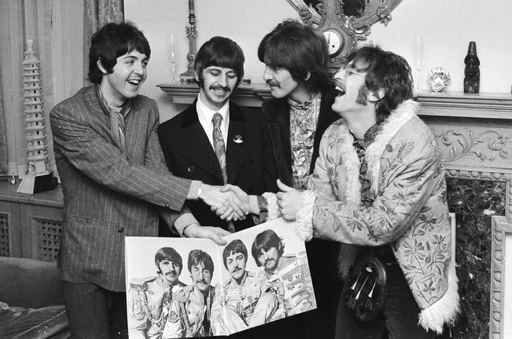 As the public and press waited for news of their progress, The Beatles would ultimately surprise the world with an experimental masterpiece that would change the course of the culture- Sgt. Pepper's Lonely Hearts Club Band. The album will see a 50th anniversary release on May 26th, with various editions promising rare studio chat, outtakes, and an additional stereo mix by Giles Martin. 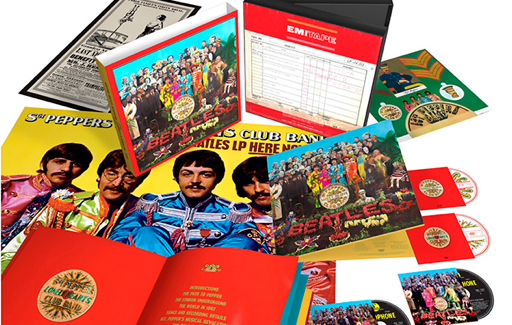 Spy Vibers curious about how the songs and album took shape will want the 4-disc box set, which also includes the wonderful Making of documentary with George Martin, a deluxe book, and more! Story continues below. Spy Vibers, have you heard my new radio show with Cocktail Nation? Episode #3 is coming up this weekend and I'll be talking about On Her Majesty's Secret Service. Here are info links for Episode #1 (Danger Man) and Episode #2 (The 10th Victim). From the press release: "It was 50 years ago when The Beatles' John Lennon, Paul McCartney, George Harrison, and Ringo Starr astonished and delighted the world, ushering in the Summer of Love with Sgt. 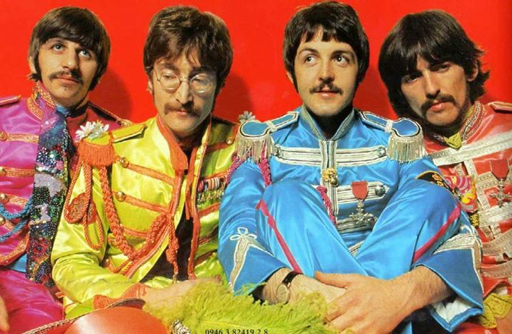 Pepper's Lonely Hearts Club Band, a groundbreaking masterwork that became popular music's most universally acclaimed album. The album is newly mixed by Giles Martin and engineer Sam Okell in stereo, sourced directly from the four-track masters at Abbey Road Studios in London, and guided by the original, Beatles-preferred mono mix produced by his father, George Martin. This extensive collection gives an unprecedented insight into how The Beatles made their ground-breaking album. The box set features a new stereo version by Giles Martin and 33 tracks from the Sgt. Pepper sessions that place you in the studio as the group develop the songs. 4 Audio CDs: A new stereo mix of the album by Giles Martin. Sgt. Pepper Sessions on 2 CDs with over 100 minutes of audio illustrating how the album was created. Newly mixed from the original four-track tapes, most of the material is previously unreleased. Also contains the original 1967 mono mix of the album and bonus tracks including three previously unreleased mixes. Blu-Ray/DVD: Fully restored 1992 documentary The Making of Sgt. Pepper, including interviews with Paul, George and Ringo and fascinating in-the-studio footage introduced by George Martin. Restored promotional films for 'A Day In The Life', 'Strawberry Fields Forever' and 'Penny Lane'. 2017 Giles Martin 5.1 surround sound mix and high-resolution stereo audio in 96KHz/24bit of Sgt. Pepper's Lonely Hearts Club Band plus 'Strawberry Fields Forever' and 'Penny Lane'. 144-page hardback book featuring an introduction by Sir Paul McCartney, comprehensive song-by-song details and recording information, in-depth essays about the design of the cover, the album's musical innovations and its historical context... and much more. 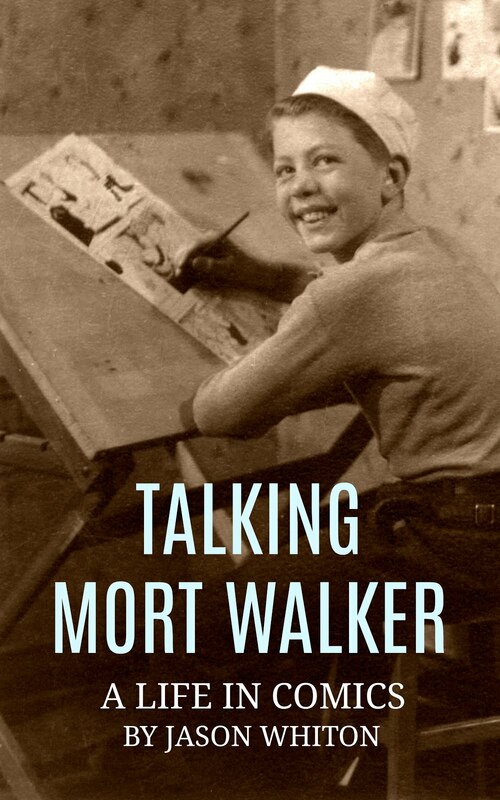 Illustrations include photographs from the recording sessions, handwritten lyrics and Abbey Road documentation. Plus a replica of the original card insert and two bonus posters." More info at Amazon. More below. The Beatles experimented often during their career, pushing pop music into uncharted territory and exploring the avant-garde. Even their solo efforts saw the band members reaching for experimentation and the cutting edge. John Lennon collaborated with Yoko Ono on many experimental films and sound recordings. He also starred in Richard Lester's surreal film, How I Won the War (1967). George Harrison played with Indian and early Moog music, and he released an experimental soundtrack to Wonderwall (1968). Paul McCartney made a number of experimental films and tape-loops (later stolen), techniques that inspired the sound collage on Tomorrow Never Knows. McCartney returned to experiment with electronic music and sound collage with the Firemen and Liverpool Sound Collage projects. And Ringo Starr pursued a film career that included collaborations with Peter Sellers, Frank Zappa, Harry Nilsson, and Marc Bolan. Lennon's son, Sean, has continued to carry the experimental touch through his collaborations with Yoko Ono, Yuka Honda (Cibo Matto), and Les Claypool. Below: The Beatles at the Pepper release party, May 19th 1967, photographed by Linda Eastman- less than two years before her marriage to McCartney. Continues below. At the heart of The Beatles' success was perhaps their playful humor- a quality that originally secured their contract with George Martin, who had produced comedy records for Beyond the Fringe, Peter Sellers, and The Goons. Much of the Beatles' work was steeped in play and a love of 'happy accidents' in the studio, and their magical flights of imagination connected the group to a larger wave in the culture. The 1960s saw a boom in surrealism throughout the arts, where imagery from Lewis Carroll loomed large. The Beatles (and Pepper) were a part of this current. Spy Vibers interested in exploring the world of 1960s surrealism might want to check out the 1966 BBC "Wednesday Play" Alice in Wonderland with George Baker (The Prisoner, OHMSS, Spy Who Loved Me), Leo McKern (The Prisoner, Help! ), Peter Sellers, Peter Cook, and many others! It also features a soundtrack by George Harrison collaborator, Ravi Shankar. Other notable surreal and satirical projects: The Bed Sitting Room, How I Won the War (with John Lennon), The Knack... and How to Get It, Not Only But Also, Beyond the Fringe, The Magic Christian (with Ringo and Peter Sellers), and Monty Python's Flying Circus. In 1967, The Beatles made the experimental film Magical Mystery Tour. Although it left many viewers scratching their heads (even today), the movie is filled with treasured moments of the group presenting some of their greatest work, playing around with surrealist imagery, and challenging movie conventions. I believe viewers who enter the film knowing that it was influenced by surrealism, Lewis Carroll, Lord of the Rings, and 1967 counter-culture, will find it an interesting experience. Enjoy! 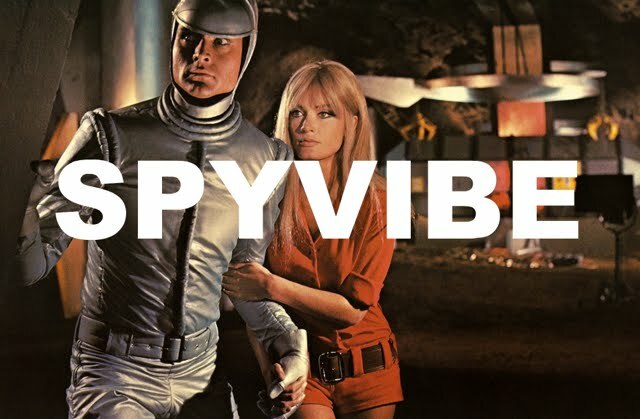 Can you help Spy Vibe? Please make a small donation in our Paypal tip button at the top-left of this page. Thank you! Related posts: The Curious Camera, McCartney at 71, Revolver At 50, Ringo Rocks At 71, Pattie Boyd Exhibit, Peter Sellers to John Lennon: UK Satire, Ringo Tribute, John Lennon Remembered, Vintage Vinyl, Experimental Beatles, Ivan Vaughan, Essential Ringo, Paul at 72, Notes Behind the Curtain 1, Notes Behind the Curtain 2, Notes Behind the Curtain 3, Notes Behind the Curtain 4, 1960s Overdrive, Make Love in London, George Martin R.I.P., Tony Sheridan R.I.P., Cynthia Lennon R.I.P., Beatles at BBC, Kirchherr and Ono, Encouragement From Yoko, My Experimental Re-Mix & Film with Yoko, Lennon70 Tribute Film, Bowie Spies Berlin, Home Movies, Sean Lennon Release, Gilbert Taylor R.I.P., Atomic Art, Love Piece, Sean Lennon Scores, Sean Lennon Limited Edition, Fab Fall 2013, George Harrison. 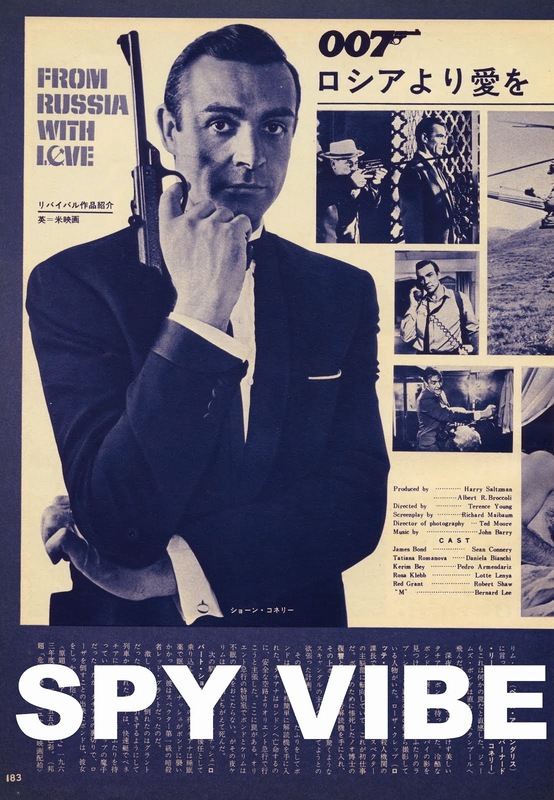 Selected Spy Vibe Posts: Satanik Kriminal OST, 60s Overdrive, Make Love in London, Spy Vibe Radio 2, Spy Vibe Radio 1, James Bond Strips, Propaganda Mabuse, Fahrenheit 451 50th, Interview: Police Surgeon, XTC Avengers, 1966 Pep Spies, Batman Book Interview, Exclusive Fleming Interview, Avengers Comic Strips, Robert Vaughn RIP, UNCLE Fashions, Thunderbirds Are Pop!, Interview:Spy Film Guide, Lost Avengers Found, The Callan File, Mission Impossible 50th, Green Hornet 50th, Star Trek 50th, Portmeirion Photography 1, Filming the Prisoner, Gaiman McGinnins Project, Ian Fleming Grave, Revolver at 50, Karen Romanko Interview, Mod Tales 2, Umbrella Man: Patrick Macnee, New Beatles Film, The Curious Camera, Esterel Fashion 1966, Exclusive Ian Ogilvy Interview, 007 Tribute Covers, The Phantom Avon novels return, Ian Fleming Festival, Argoman Design, Sylvia Anderson R.I.P., Ken Adam R.I.P., George Martin R.I.P., The New Avengers Comics, Trina Robbins Interview, The Phantom at 80, 007 Manga, Avengerworld Book, Diana Rigg Auto Show, The Prisoner Audio Drama Review, David McCallum novel, Andre Courreges R.I.P., Who's Talking on Spy Vibe, UFO Blu-ray, Avengers Pop Art.